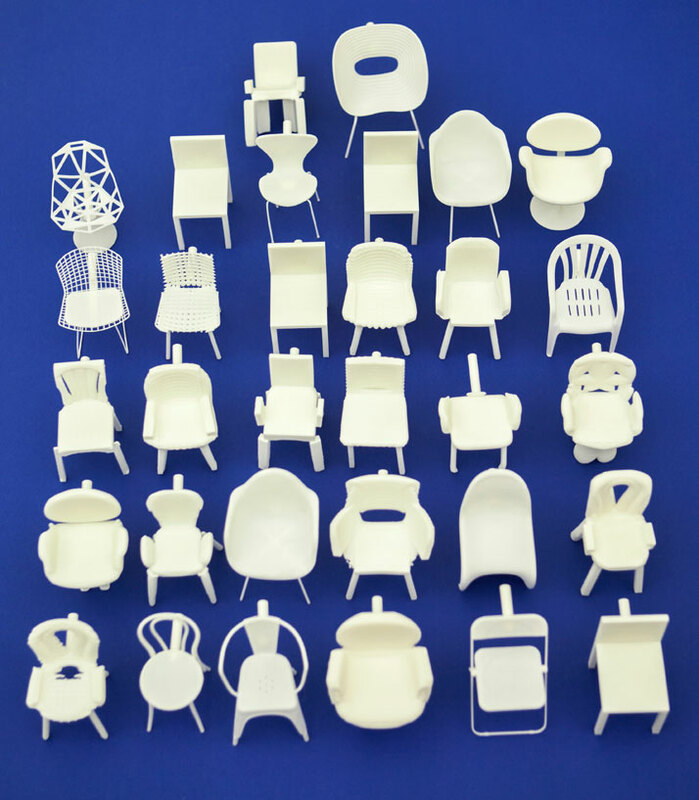 How many chairs have already been designed and how many more will be designed in the future? How can this form evolve? 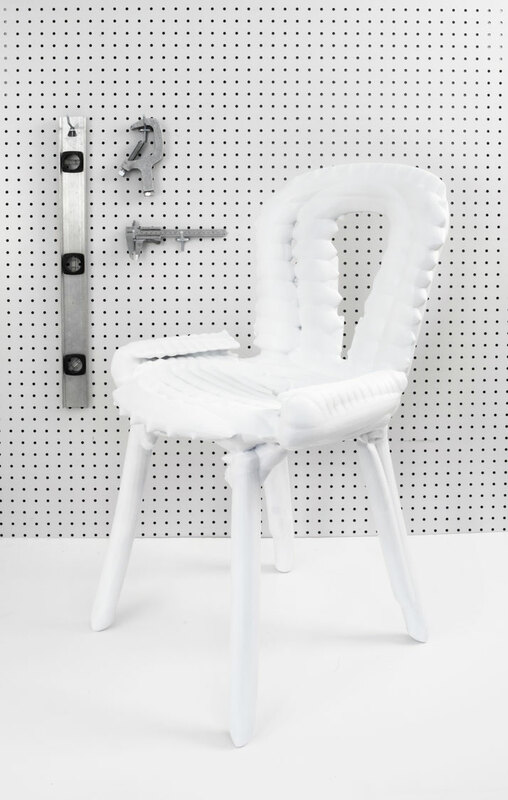 Which combination of elements will lead to the creation of the perfect chair? 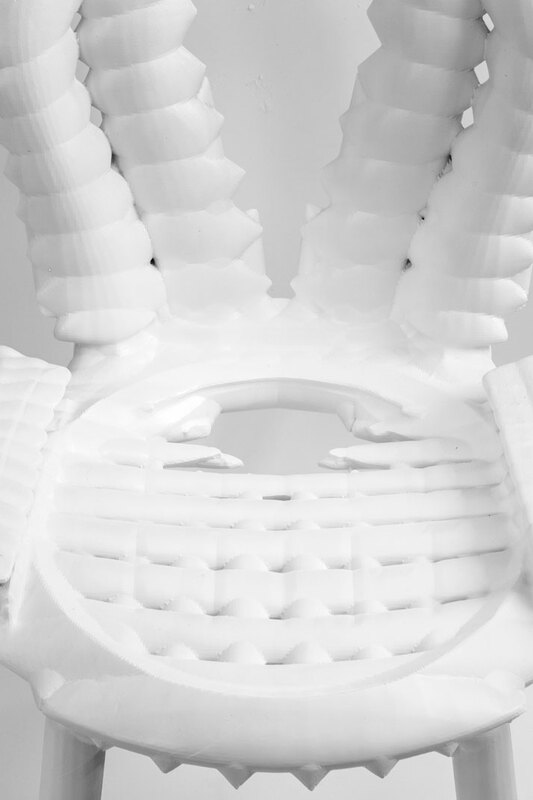 How far can technology assist in perfecting design and optimizing production? 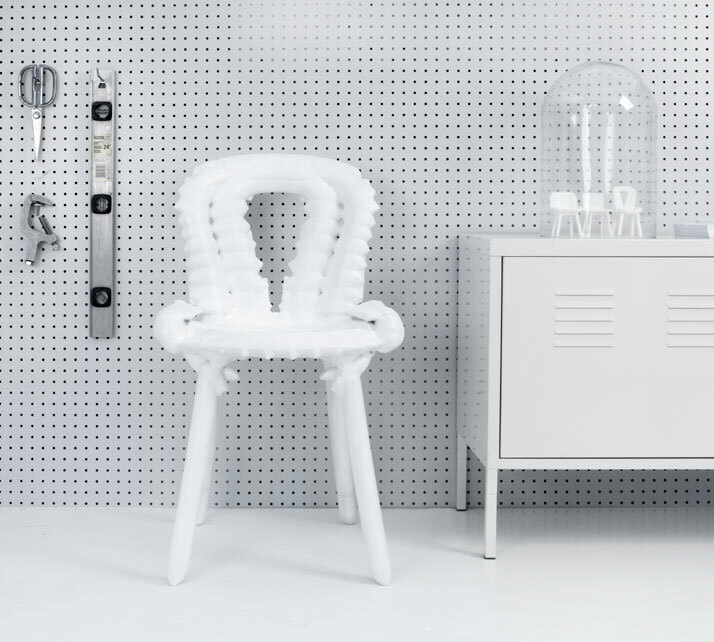 These are just some of the questions that concern Jan Habraken and his team of designers at FormNation, a New York based European design studio specialized in architecture, product and environmental design. 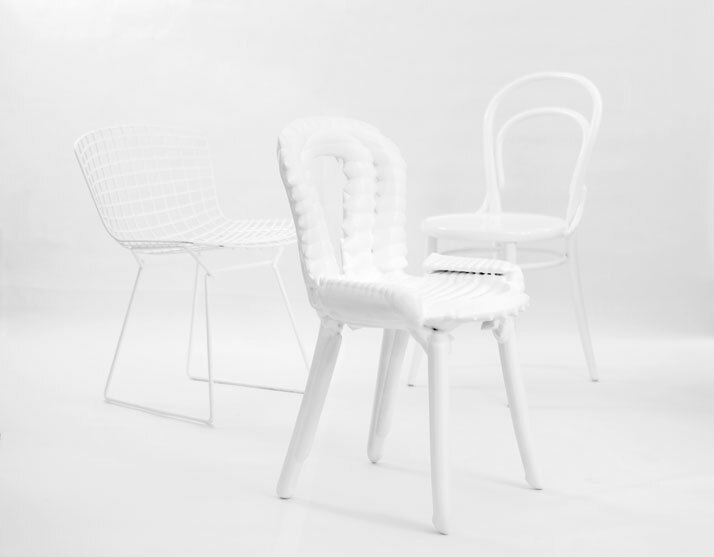 Following Darwinian Theory, after commencing a scientific inquiry, Habraken's chairs evolution theory led to the Chairgenics project: a quest to breed the ultimate chair by combining the right elements in order to move towards genetic perfection. 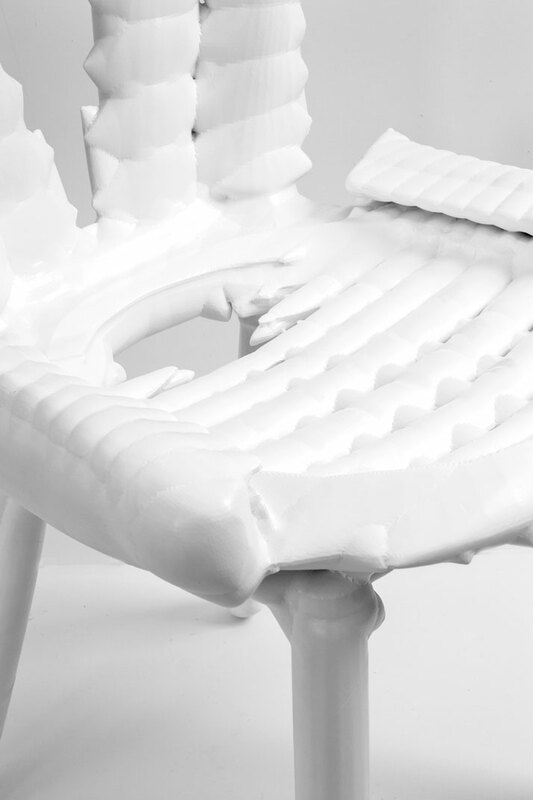 From October 14, 2013, through to July 6, 2014, viewers will have the chance to witness the first 3D-printed full scale Chairgenics models up close at the MAD Museum in New York City during the ''Out of Hand: Materializing the Postdigital'' exhibition. 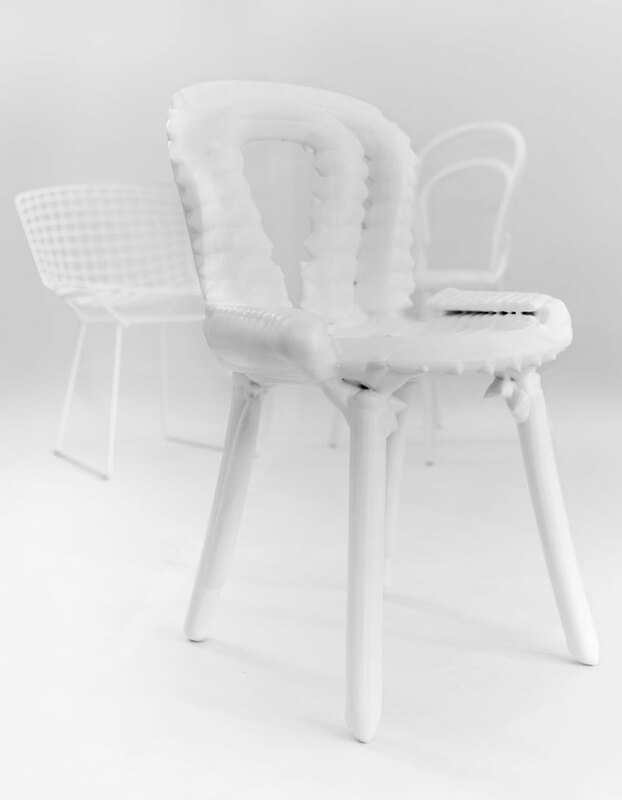 Curated by Ron Labaco, the exhibition aims to explore the many areas of 21st-century creativity that have been made possible by advanced digital fabrication methods in computer-assisted production such as 3D printing, CNC (computer-numerically-controlled) machining and digital knitting that have offered new and exciting opportunities for artists, architects and designers to rethink their creative processes. Some of the most compelling creations from the past decade ranging from sculpture and furniture to fashion and transport from over 80 international artists, architects, and designers, including Ron Arad, Barry X Ball, Zaha Hadid, Stephen Jones, Anish Kapoor, Allan McCollum, Marc Newson, and Roxy Paine will also be on exhibit. 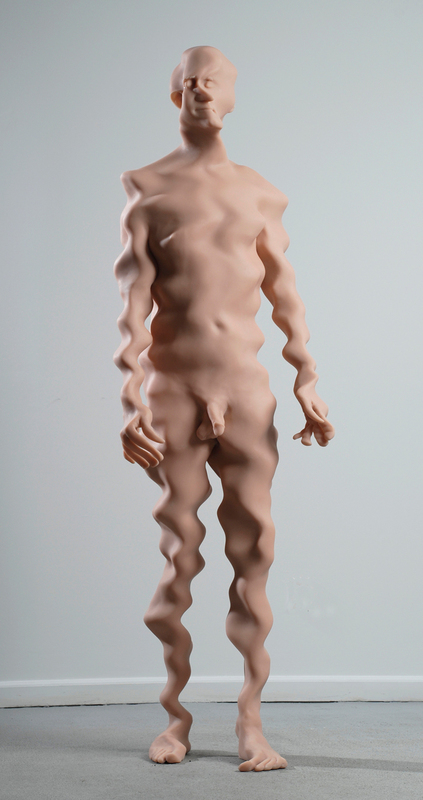 Out of Hand: Materializing the Postdigital | October 16, 2013 to July 6, 2014 | MAD Museum, New York. Articulated 3D-Printed Gown, 2013 / Nylon, Swarovski crystal; laser sintering. Photo by Albert Sanchez; courtesy of Michael Schmidt Studios. Richard Dupont, Untitled (5), 2008. Photo by Richard Dupont. Courtesy of Cheryl Gold.